The UN has certified that the Delhi Metro has aided in the reduction of greenhouse gases, earning ‘carbon credits’. This makes the Delhi Metro the first of its kind in the world to do so. This comes under the Clean Development Mechanism (CDM) of the UN under the Kyoto Protocol. The UN said the rail based system has helped to save 630,000 tonnes of pollution a year. The credits to the Delhi Metro Rail Corporation (DMRC) are worth $9.5 million for each of the next seven years. More credits would be given for more passengers on the system. The credits are designed as a financial incentive for developing countries to reduce greenhouse emissions. 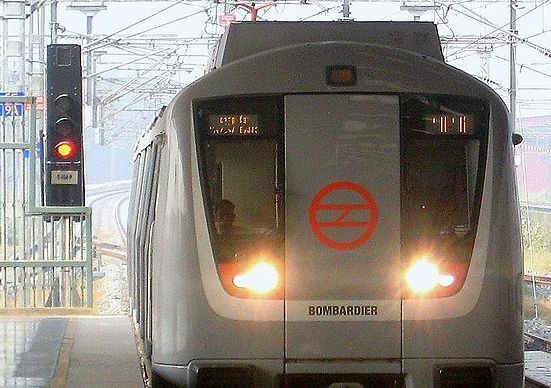 The Delhi Metro was started in 2002. According to the DMRC, it has reduced road traffic by more than 91,000 vehicles per day. Space Exploration Technologies, also known as SpaceX, successfully launched their Falcon 9 rocket for the first time at 1845 UTC ( 2:45 pm EDT) of Friday from Kennedy Space Center at Cape Canaveral, Florida, United States. SpaceX (Space Exploration Technologies Corporation) is an American space transport company founded by PayPal co-founder Elon Musk. It has developed the Falcon 1 and Falcon 9, both of which are partially reusable launch vehicles. 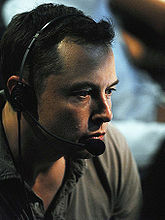 The Falcon 9, second in the Falcon series of rockets, has a first stage that is powered by nine Merlin 1C engines, and a second stage powered by one Merlin vacuum engine. Today’s inaugural launch carried the Dragon Spacecraft Qualification Unit (DSQU), a boilerplate version of the Dragon capsule. The Chrysler Corporation is founded by Walter Percy Chrysler on June 6, 1925, when the Maxwell Motor Company (est. 1904) was re-organized into the Chrysler Corporation. Walter Chrysler had originally arrived at the ailing Maxwell-Chalmers company in the early 1920s, having been hired to take over and overhaul the company’s troubled operations (just after a similar rescue job at the Willys car company). A train in China has derailed after hitting damaged tracks as it traveled between Shanghai and Guilin, a tourist destination in southeast China. According to the Chinese Ministry of Railways, the accident occurred at around 0210 local time (1810 UTC) when the train hit a section of track that had been damaged by a mudslide. The derailment killed at least nineteen, and an additional 71 people were injured. Eleven of the injured have been seriously wounded. 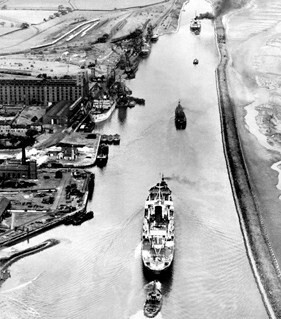 The Manchester Ship Canal, linking Greater Manchester in North West England to the Irish Sea, officially opened, becoming the largest navigation canal in the world at the time. On 21 May 1894 Queen Victoria visited to perform the official opening. The Queen knighted the mayor of Salford, William Henry Bailey and the lord mayor of Manchester, Anthony Marshall at the opening of the Canal, during one of the three royal visits the Queen made to Manchester. Edward Leader Williams was knighted by the Queen on 2 July by Letters Patent. The Board of Directors at Continental and United airlines approved a stock-swap deal that would combine them into the world’s largest airline on Sunday, May 2, 2010. The airlines publicly announced the deal the next day. The new airline will take on the United Airlines name and be based out of United’s hometown of Chicago. It will be run by Continental’s CEO, Jeff Smisek. UAL’s CEO, Glenn Tilton, will be non-executive chairman. The deal will still need final approval from labor unions, shareholders, and antitrust regulators before being allowed to go forward. Both airlines are taking losses in the recession and expect the merger to generate savings of more than $1 billion a year. Combined, they fly to some 370 destinations and carry 144 million passengers a year. Combined revenues will be about $29 billion.